Newmont Australia and Barrick Gold’s joint venture (JV), Kalgoorlie Consolidated Gold Mines (KCGM) has granted SRG Global and Mitchell Services each a five-year contract at the Mt Charlotte underground mine in Western Australia. SRG Global will provide geotechnical ground support services as part of its $18 million contract, commencing immediately. This includes both in phase ground support as well as rock fall mitigation and remediation. 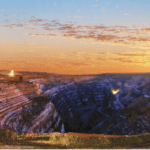 According to SRG Global, its Geotech business has been performing a range of services at KCGM’s Mt Charlotte since 1997, in addition to a long and “proud history” performing ground support works at the Kalgoorlie Super Pit for a number of years. Mitchell Services, in materially expanding into Western Australia through its contract win, will provide underground diamond drilling services at the underground mine for a period of five years. Mt Charlotte is one of the first Australian mines to use mechanised equipment underground, producing around 740,000 tonnes of ore and yielding around 56,500 ounces of gold a year. The operation has produced around five million ounces of gold after half a century of operation. Mitchell Services will initially deploy two underground rigs at Mt Charlotte, with potential to increase this rig count over the five-year contract period, subject to performance and site requirements. The KCGM award is significant for various reasons, according to Mitchell Services chief executive Andrew Elf. “Strategically it provides the company with a multi-rig, multi-year contract in Western Australia which will aid further growth over time,” he said. 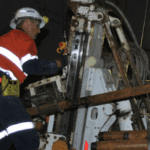 The Mt Charlotte underground mine gained a further two years’ mine life after the identification of the Hidden Secret ore body about 350 metres east of the mine. It is expected to produce 76,000 ounces of gold and extend Mt Charlotte’s mine life to 2024. KCGM’s operations, which include Mt Charlotte and Super Pit, are adjacent to Kalgoorlie-Boulder in Western Australia. The contract award will not likely have a material impact on Mitchell Services’ 2019 financial year revenue of $110–$120 million, due to the award timing, expected start date and level of ramp up associated with the project, according to the contractor.